IntelliCare collects millions of different data points from every IntelliFlash array in deployment that has opted in*, including capacity usage, configurations, and system health and performance. Servers in the cloud process and analyze data to detect issues and identify patterns that can help predict trends. Since this is all done in the cloud, there’s no need to install any agents or stand up your own infrastructure. You can also open and manage support cases online, and have access to technical documentation, “how to” guides, “Tech Talk” webcasts, and knowledge-base articles. Western Digital’s team of storage experts leverage the knowledge gathered by IntelliCare cloud-based analytics to spot issues across the entire customer base. When a problem is detected, they know which arrays are affected and can take proactive measures to quickly resolve the issue. Those measures include notifying customers, fault reporting, opening a support ticket, and/or dispatching replacement parts. 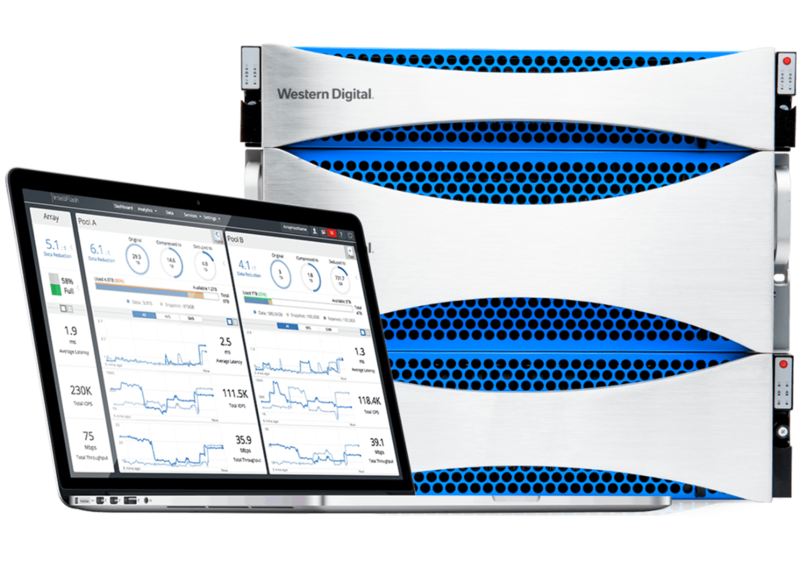 Lower Operating Expenses: Save time and reduce operating expenses by simplifying storage management. Proactively Manage Storage: Anticipate future problems and keep your IntelliFlash arrays operating in top condition. Download the IntelliCare Cloud Analytics Tech Sheet (PDF).